Located in a small community called Tahoe Tyrol approximately four blocks below the tram at Heavenly Valley Ski Resort, one easy mile to the lake, and one mile to the Casino area. 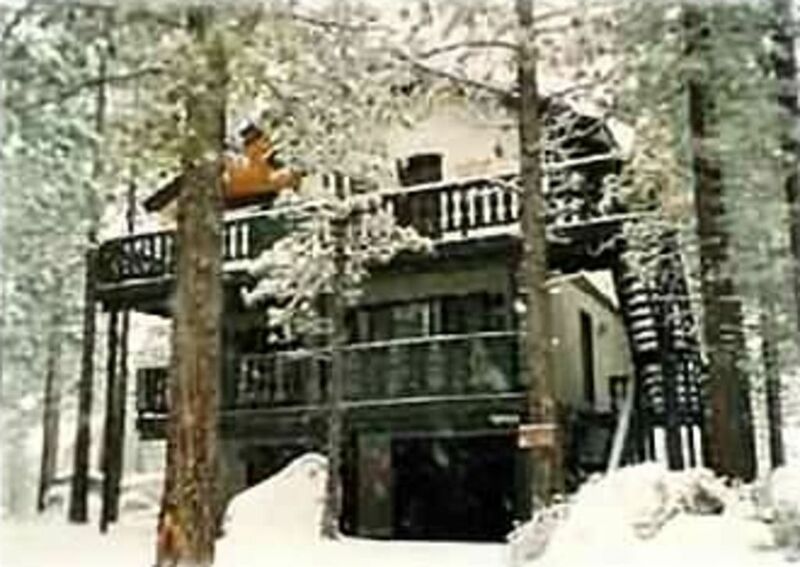 Elevation is 6250 feet with a spectacular view of Lake Tahoe and surrounding mountains. A major remodel of the kitchen (cabinets, granite countertops, appliances,hardwood flooring, windows, dining- living area including new gas fireplace, a 66' smart TV) was completed December 2012. This Lake Tahoe chalet style home is fully furnished, approximately 2000 square feet, 1000 square feet of decking, on a level lot. The upper level and upper deck looks out across Lake Tahoe. Parking is a long flat driveway approximately 75 feet that leads to an extra large double car garage. Remote garage door controls are furnished. The garage area has plenty of room for sports equipment and the furnace room has racks/shelves for drying ski gear, jackets, etc. Table tennis has been added in the garage area. The modern fully furnished kitchen includes a French door refrigerator with icemaker dispenser, induction cooktop, electric oven and microwave, dishwasher, disposals, toaster, blender, coffee maker, all dishes, glassware, etc. needed to enjoy your stay. A prep sink has been added to the island cooking area. Linens are amply furnished plus a washer/dryer, ironing board, etc. are at the chalet. Heat is by natural gas forced air furnace with a built-in humidifier plus the 3rd level is heated by an efficient gas fireplace. This is a three-level home. The bottom level is garage, storage, and furnace room. The middle level is for the three large bedrooms (each has a king-size bed and TV) plus two bathrooms and a washer/dryer. There is a deck off the master bedroom with a nice view. The top level is an open plan with all new kitchen cabinets, granite countertops, induction cooktop, oven, microwave, refrigerator with 2 ice makers; large windows for viewing Lake Tahoe and the surrounding mountains. A new efficient gas fireplace with a 66' flat screen TV above the mantle was part of the construction completed in Dec. 2012. A large half bath is located on the 3rd level. Decking runs three quarters of the way around the chalet. Deck tables and chairs are provided for your enjoyment along with a gas barbecue. The entire upper level has a magnificent view of Lake Tahoe and mountains. Please keep in mind that there is a no smoking/no pet policy. Check-in time is at 3 p.m., Check-out time is at 11 a.m. unless other arrangement have been made. Tahoe Tyrol is a small community with its own homeowners association. The association provides a recreational area that offers a heated swimming pool, outdoor spa, a small club house with bathrooms, changing area, lockers, shower, and a sauna. The pool area is normally open from mid-May through September. All other facilities are available throughout the year. There is a large supermarket and shopping center within ½ mile; a large assortment of stores, numerous restaurants, and shopping are within two easy miles.